Through the ages Bengalis have proved their irreplaceable love for sweets. 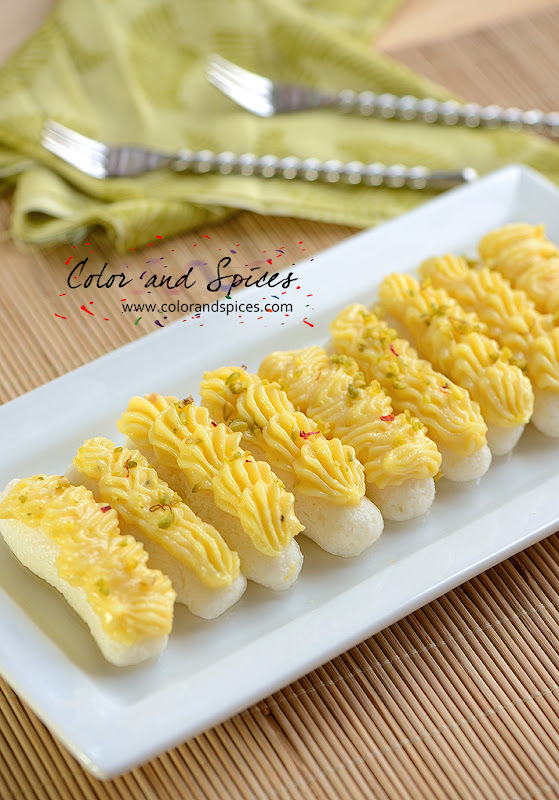 In Bengal, sweets occupy an important place in the diet and also at social ceremonies. So last weekend when I was invited to my friend's Grihopravesh (House warming ceremony), I made Malai Chomchom for her. 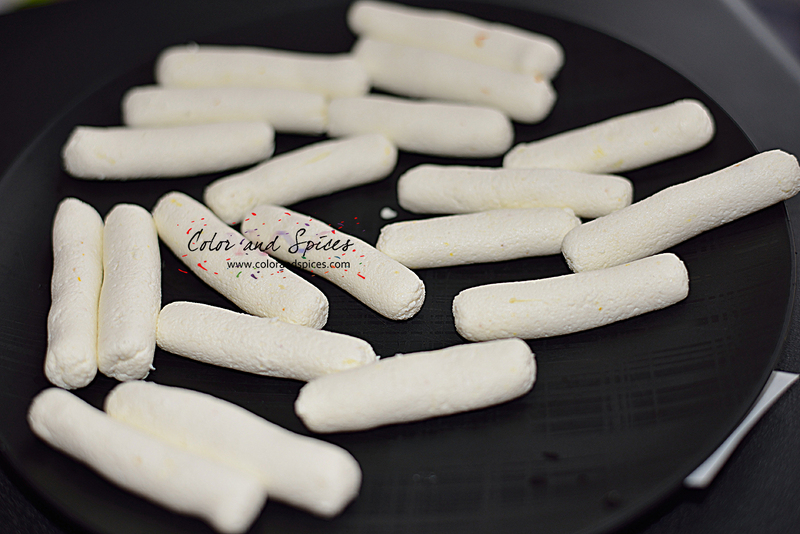 Chomchom ('ch' pronounced as chair) is a very popular sweet from Bengal (Eastern India). 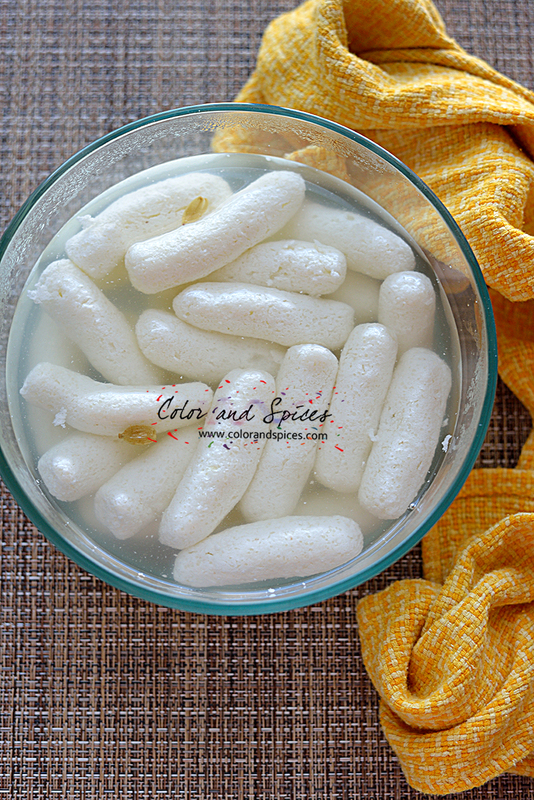 Chomchom are made from homemade cottage cheese (Chana), cooked in sugar syrup. Chomchom can be served various ways, with grated coconut, chopped nuts or with cream (malai).They are sometimes translated as 'pleasure boats'. Indeed they are. 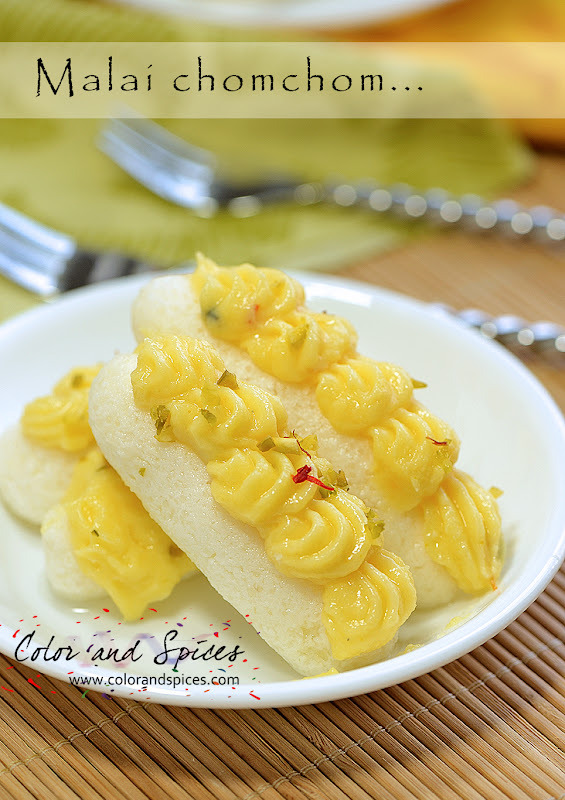 The soft, sweet Chomchom, soaked in syrup and accompanied with some cream (malai) is truly a pleasure to your taste buds. 1. 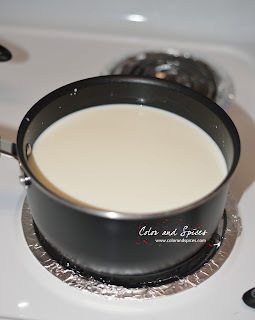 Boil milk in a heavy bottom pan. Stir in between, so it do not scorch to the bottom of the pan. 2.As the milk boils gradually add lime juice and keep stirring, till whey separates and the milk curdles. 3. 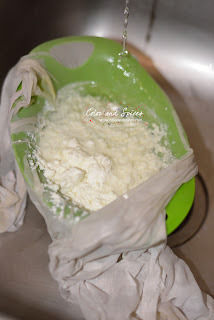 Line a colander with cheese cloth or a piece of muslin, drain the curdled milk. 4. Tie up the cheese cloth and wash the cottage cheese under cold water, till it feels cold to touch. 5. 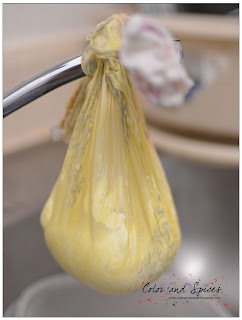 Hang the cheese cloth bag with the cottage cheese over the sink or a bowl, to drain out excess water. Keep the cottage cheese like this still you see no more water is dripping from it. 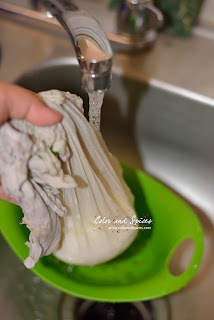 Give the cheese cloth bag a big squeeze to drain out any extra water. 6. Take the cottage cheese or chana in a flat plate or tray. Add semolina, sugar (2tsp), saffron and mix well, for about 2 min. Make a smooth dough. 7. 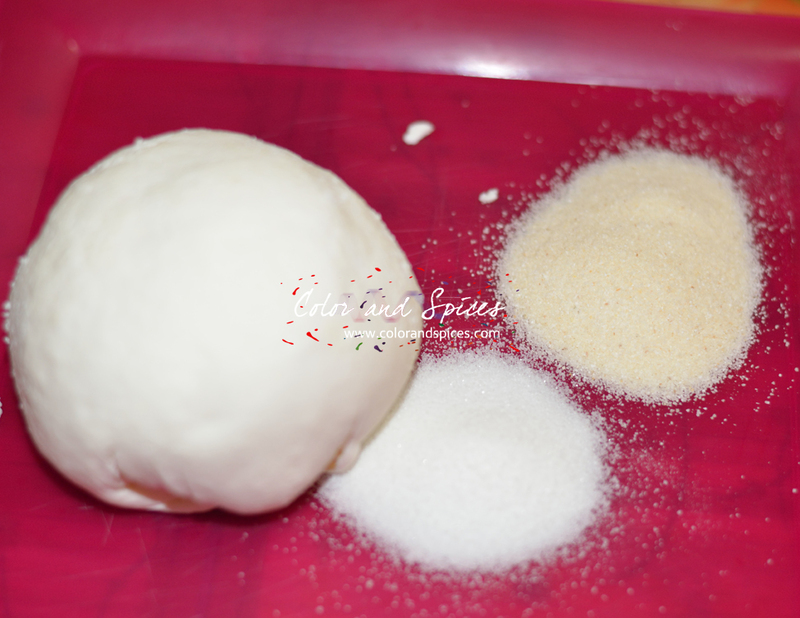 Knead the dough with the heel of palm, till no lumps, for about 5-6 min. Divide the dough into 4 equal parts, from each part make 6 balls. Shape the balls into cylinders of 2 inch length. 8. In a large deep pan boil 2 cups sugar and 5 cups of water. Add green cardamom to the syrup. As the sugar syrup starts to rolling boil, add the prepared chomchom pieces one at a time. Do not over crowd the pan. As the chomchom will be double the sixe while cooking, so use a bog enough container to fit all. Otherwise cook them in batches. Cover the pan and cook the chomchoms over medium heat for 30-35 min. In between lightly stir the chomchoms. Add some hot water to the syrup to keep the consistency right. Make sure the syrup does not overflow. After 30-35 min, take out the cooked chomchom in a large bowl along with half of the syrup, cover and keep aside. 9. Add 1 cup of sugar in the remaining sugar syrup and boil till the syrup thickens a bit. Switch off heat. Take out the chomchom from thin syrup with a slotted spoon and add to the thick syrup. Cover and keep it in the syrup for 6-8 hrs. 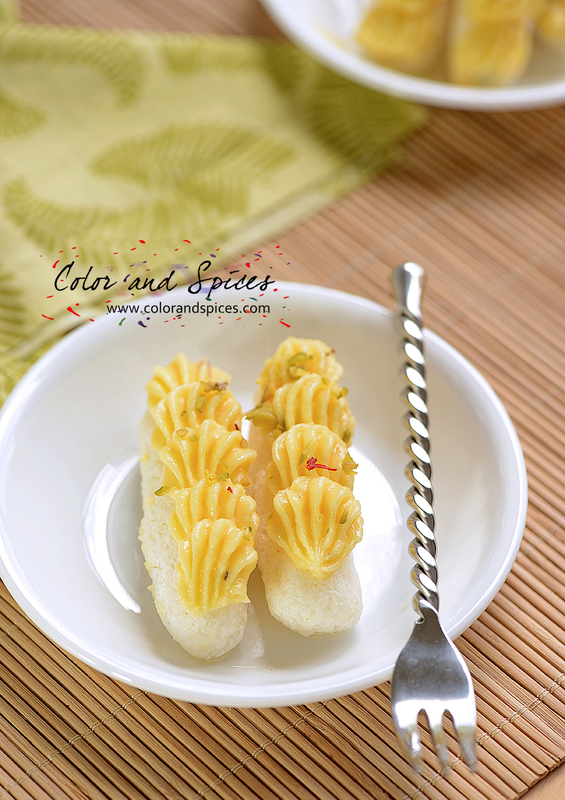 You can serve the chomchom this way also, after cooling down to room temperature. Sprinkle chopped nuts, or grated coconut, or grated mawa. I made it a little special, adding some thick malai (cream) to it. 10. 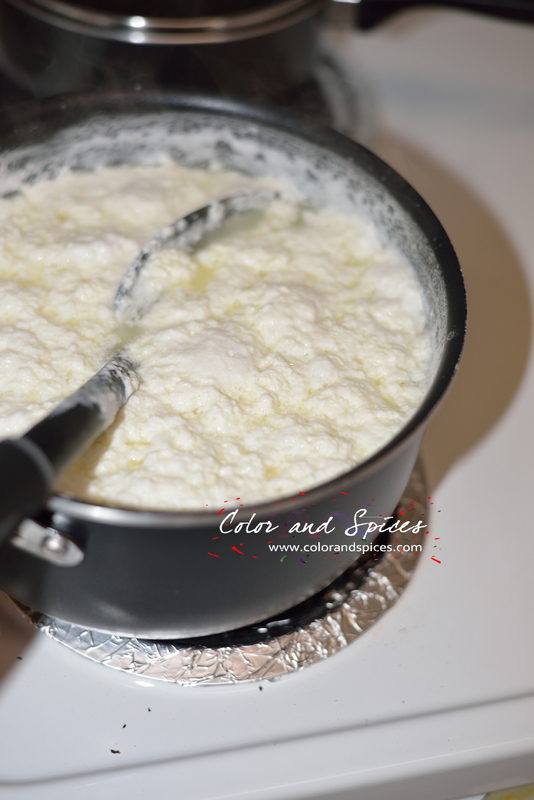 To make the Malai: In a heavy bottom pan add heavy cream and mawa (unsweetened milk powder), cook over low heat till mix well. Add sugar as per taste. I like to keep the malai less sweet, so it does not overwhelm the taste of chomchom. Add green cardamom, saffron, and rose water(if using). Mix well. Cook till it thickens, but it should be of pouring consistency. Let the Malai cool down to room temperature, keep it in the refrigerator. 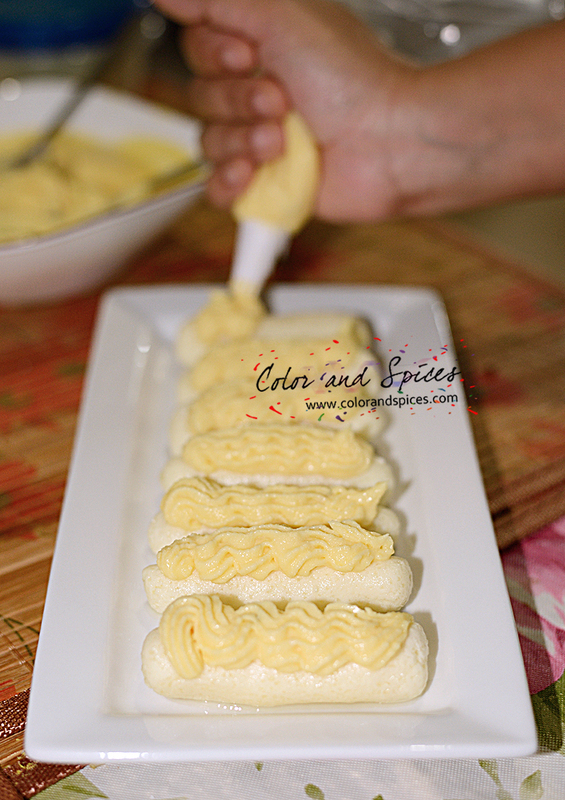 The Malai will be thickened as it cools down. 11. 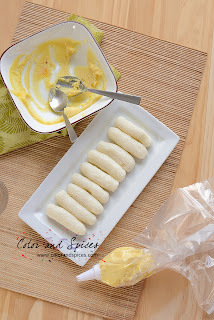 You can just spread the malai over chomchom. I used a star nozzle to pipe malai on chomchom. 12. 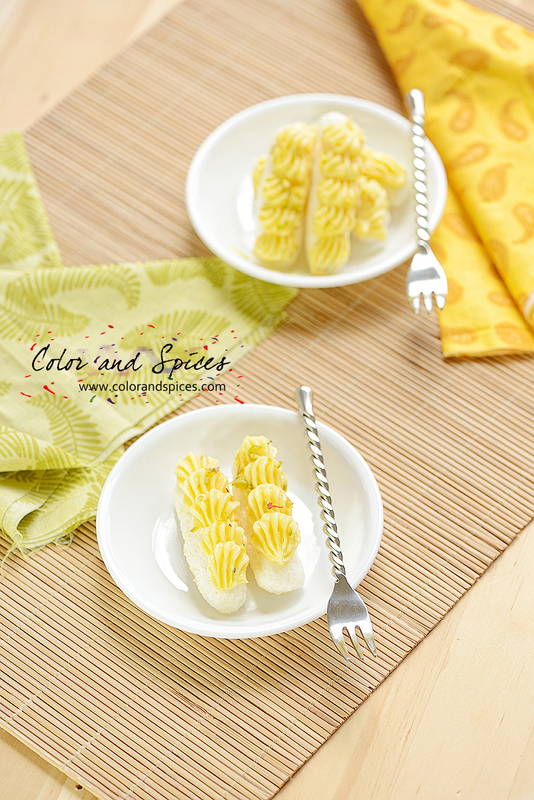 Garnish with chopped pistachio and saffron strands. Serve cold or at room temperature. Meena, Other than the shape (Rosogolla is round, chomchom is elongated/ flat/ cylindrical), the way they are cooked is different. 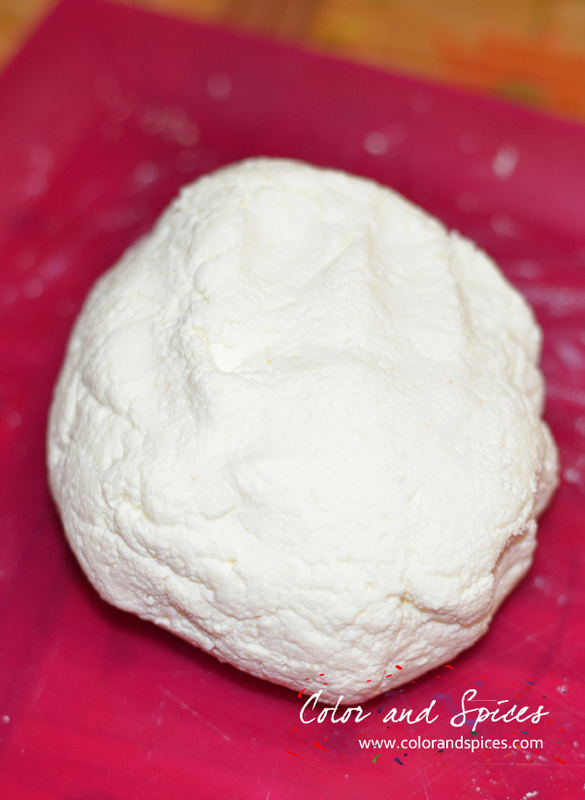 Rosogolla is cooked once in a thin syrup. Where as chomchom is cooked twice, that brings the much denser texture to the sweet. Rosogolla is more perishable than chomchom. so yummy ! Can I have some? Kamalika, waiting for some delicious chomchom pic from you. Looks perfectly made!! Amazing clicks too :) Loved it!